George Steinbrenner, owner of the New York Yankees, died today of a heart attack. He was 80 years old. An icon of the sports world, Steinbrenner saw the Yanks win 11 pennants and 7 World Series. 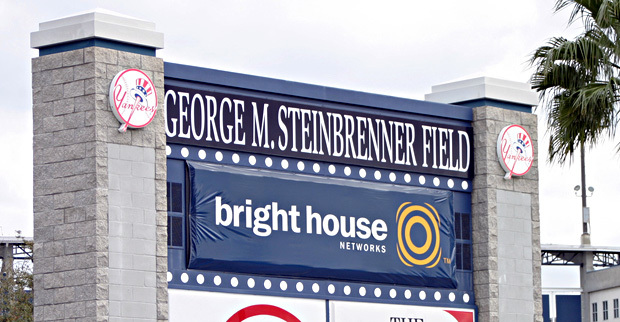 But it wasn’t just about winning on the baseball diamond: Steinbrenner was also a shrewd businessman, whose dealings helped revive the struggling franchise financially. Here we present the five most noteworthy deals of Steinbrenner’s career in chronological order. franchise in the MLB, with an estimated worth of $1.6 billion. network is now said to be worth more than $3 billion. 3. Lifetime Ban. In 1990, MLB commissioner Fay Vincent banned George Steinbrenner from baseball for life. Steinbrenner, it was revealed, had paid a gambler named Howie Spira $40,000 to dig up dirt on outfielder Dave Winfield. The “lifetime” ban, however, lasted a mere two years before Steinbrenner was reinstated, but when he returned, Steinbrenner decided to leave day-to-day baseball operations. Instead, he placed his trust in general manager Gene Michael, who developed the Yankees’ farm system and built a team around younger players such as Bernie Williams, Andy Pettitte, and Mariano Rivera. These players served as the seeds that led to the Yanks’ golden era, when they won championships in 1996, 1998, 1999, and 2000. 5. Yankees Stadium. The House That Ruth Built served as the Yankees’ homefield from 1923 until 2009, when it was replaced by the House That Steinbrenner Built. Steinbrenner had been heavily pushing for the controversial project for years–as early as the 1980s, some say–and threatened to move the stadium to Manhattan or New Jersey. Eventually the stadium was built for $1.5 billion, with the help of significant tax subsidies.